When Dean Saunders was fired as manager of Wolverhampton Wanderers following their relegation to League One, the club announced that it would be undertaking a thorough process before deciding on his replacement. Saunders demise and Wolves demotion to the third tier with successive relegations proved the culmination of two years poor planning and dismal decisions. From backing Mick McCarthy with a mere £9million to strengthen the squad in the summer of 2011 and his subsequent departure, to hiring Terry Connor – not mentioning the Steve Bruce episode – through to 2012’s attempt to revolutionise the football structure at the club with Stale Solbakken and 2013’s back-to-basics (and oh how basic it was) attempt under Saunders, the Wolves board have failed the club’s fans. Now, owner Steve Morgan and chief executive Jez Moxey have changed tact once more, placing their faith in Kevin Thelwell, promoted to the role of ‘Head of Football Development and Recruitment’ and another new manager – ahem, Head Coach – in Kenny Jackett. Whilst Thelwell’s exact job specification and day-to-day workings is something that those outside the club can only speculate with regards to, the arrival of the ex-Millwall boss Jackett is one which supporters can surely get behind. Three interviews prior to his appointment suggests the required due diligence has been performed – something which can’t similarly be said about the last manager. Additionally, in a sea of bodies featuring the likes of ex-England boss Steve McClaren and Owen Coyle amongst others, Jackett would appear the safe and logical choice. McClaren’s ill-fated stint at Nottingham Forest and Owen Coyle’s inability to halt a Bolton slump which started with their 5-0 demolition by Stoke City in the 2011 FA Cup semi-final – for additional proof of his poor Championship performance, see the difference in the Trotters results/performances under Dougie Freedman last season – will have hung like anchors around their respective neck’s throughout the appointment process; there should be no such qualms with regards Kenny Jackett. The 51-year-old arrives at Molineux after six largely successful years in southeast London. Millwall frequented the League One top-six throughout his opening three seasons at the club and he eventually guiding the club to promotion to the Championship in 2010. He would subsequently keep them there despite one of the division’s smallest budgets for the remainder of his tenure and would lead the club to the 2013 FA Cup semi-final also. Prior to his stint at The Den he played a major part in the early resurgence of Swansea City, who at the time of his appointment were struggling in the fourth-tier. He took the Swans to promotion from League Two in 2004-05, before the following season guiding the club to a play-off final – losing on penalties to Barnsley – as well as success in the Football League Trophy, before his resignation and subsequent replacing by Roberto Martinez. Now, Jackett arrives at Molineux looking to regenerate another of the Football League’s oldest and grandest clubs. With the club’s budget likely to be the biggest in League One next season, it is fair to say that success will only be quantified as an immediate return to the Championship. 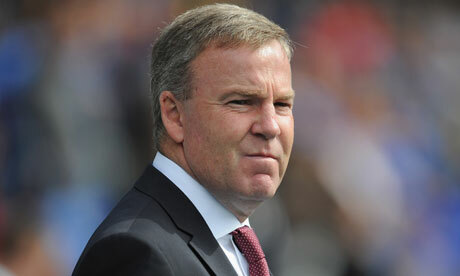 The hope for Wolves supporters now is that Kenny Jackett is given the necessary tools with which to work and that he can get the club moving forward’s as soon as possible. His first media appearance is set for Monday June 3rd, and fans will hope that date signals the beginning of the club’s restoration. Freelance football writer. Former Publican. Sandwich enthusiast. Better beard than Andrea Pirlo. Jackett was almost certainly the man Steve Morgan (the club owner) wanted from day 1 and as he (Jackett) resigned from Millwall on the very day that Dean Saunders was dismissed, it had to be more than a coincidence. The club said it would be taking its time to appoint the new man and would be rigorous in the procedure but why did the club go through the pretence of interviewing candidates and making enquiries about others when they had already lined their man up? 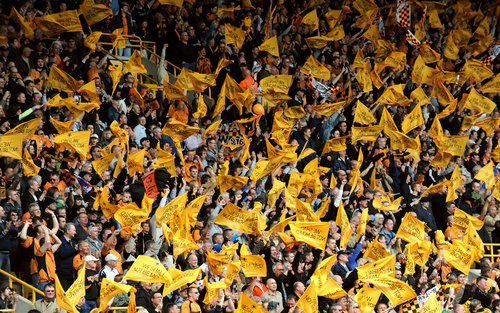 Wolves have been a joke club for a few years now, proven by the sacking of 4 managers in 15 months, selling players such as Fletcher, Jarvis and Kitely but not bringing in replacements of at least Championship standard, banking the proceeds and then quite beyond reason, demolishing a good stand and building a new one when quite obviously the team needed strengthening first and foremost. The outcome of all of those mismanagements is, League One football and no doubt a further sale of the players who can command decent fees (and I am not referring to the likes of O’Hara and Johnson, who can go for free as far as I am concerned!). the embarrassment created by an owner without a football brain and a CEO whose only concerns are balancing the books! Unless you support Portsmouth, then count yourselves lucky. You too could be in Wolves boat, sinking fast and with no help in sight! What I can’t understand is why would Kenny Jacket leave a reasonably well run Championship club (Millwall) for a League One club (Wolves) which looks to be in a right mess and going nowhere fast? It must have been the money? Is international football a dying entity?